A direct contact with your administration. 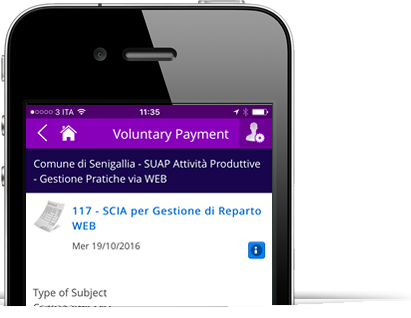 Notices of expiry, notifications, payments of administrative penalties, education services, etc. Alerts and suggestions to the Authority. Pay immediately by filling in the required fields. In order to report breakdowns or disruptions, send alerts and pictures directly to the appropriate office of the Authority. 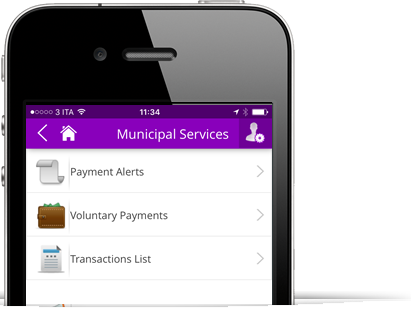 The feature "Municipal Services" of myCicero® is active in the city of Senigallia (AN), Italy. It is possible to pay the services provided by the Single Contact Point for Productive Activity (SUAP), in particular what concerns the management of procedures via PEC or Internet that enable the payment by PC, smartphone and tablet in order to avoid endless queues at the bank and post offices.